Do I have Fructose Intolerance or...What else could it be? Help! What can I eat if I am on a Low FODMAP diet? How do you get tested for Fructose Intolerance? What is a Fructose Breath Test? What are the symptoms of Fructose Intolerance? What should I avoid if I am on a Low FODMAP diet? Where can I find a Qualified Dietitan? Where can I get a Fructose Breath Test? Where did this information come from? Can I believe it? 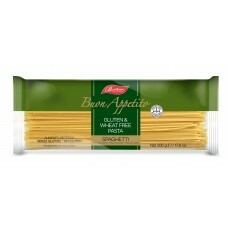 BiAglut Gluten Free Pasta is the closest possible alternative to the real thing. The texture, colour..
Gemmine has a shape that will remind you of rice, only larger. It is a corn pasta that is light and ..
A genuine gluten-free alternative to semolina pasta. BiAglut Linguine can be served with your favour..
A genuine gluten-free alternative to semolina pasta. BiAglut Penne can be served with your favourite..
A genuine gluten-free alternative to semolina pasta. BiAglut Rigatoni can be served with your favour..
An easy to digest Italian made gluten free penne pasta. Ingredients: Milled rice 88%, maize meal..
An easy to digest Italian made gluten free penne pasta. 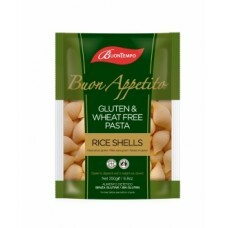 Ingredients: Milled rice 88%, maiz..
An easy to digest Italian made gluten free shell pasta. Ingredients: Milled rice (88%), mai..
Gluten free spaghetti is not just for bolognese! This family favourite goes just as well with seafoo..
An easy to digest Italian made gluten free spiral pasta Ingredients: Milled rice (88%), mai..
An easy to digest Italian made gluten free spiral pasta. Ingredients: Milled rice (88%), ma.. 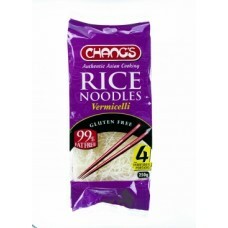 This Organic Brown Rice Pasta is easy to cook and very tasty - it's Organic, Gluten Free and Fru..
SALE-BEST BEFORE 6.2.19 Gluten Free Fried Noodles Chang’s introduces its Gluten Fr..
A thin style noodle. Simply soak in hot water and add to your favourite stir fry. Ingredient..